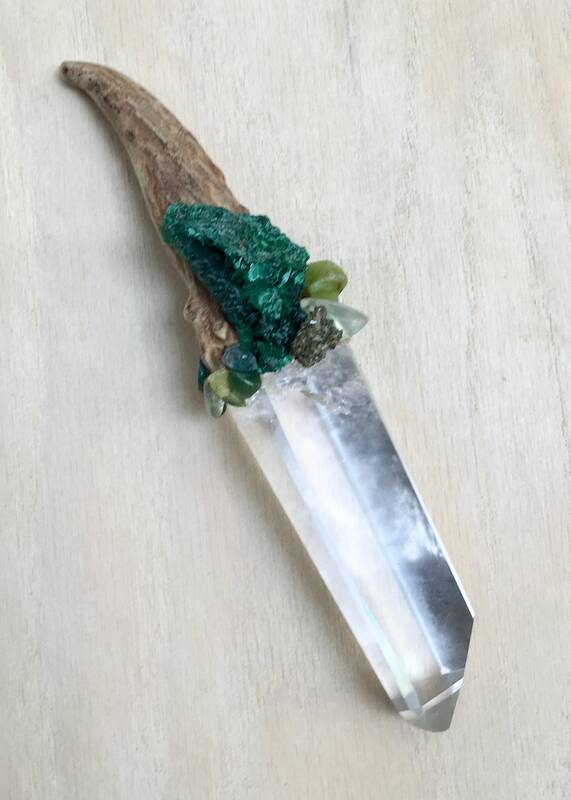 Assists with Healing, Raising Vibration & Transformation; Clears & Activates the Chakras; Aids with Releasing Negativity; Amplifies Spiritual Gifts, Intuition & Inner Wisdom; Encourages Emotional Stability, Optimism, Clarity, Manifestation, Self Confidence & Unconditional Love. 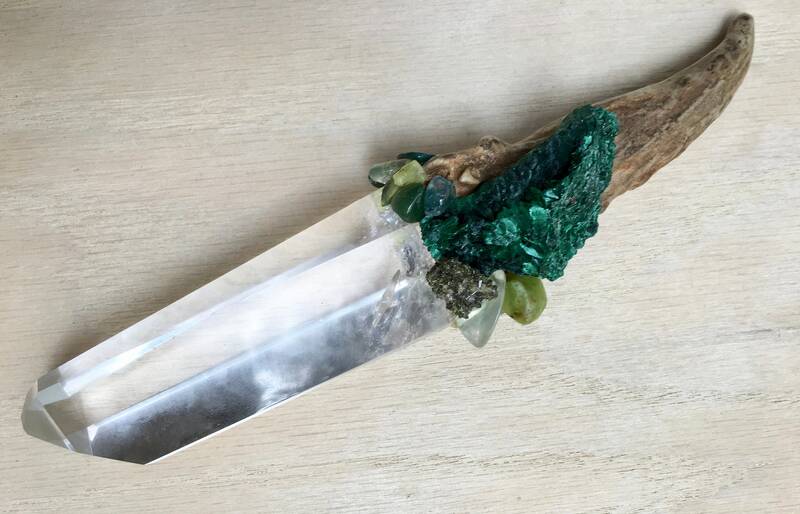 Epidote - a great stone for releasing negativity and raising one's vibrational energy. It is helpful for those stuck in modes of depression, hopelessness, or other negative thinking pattern. Can inject a sense of hopeful optimism into one's emotional body, helping to bring the mind into a higher vibration. 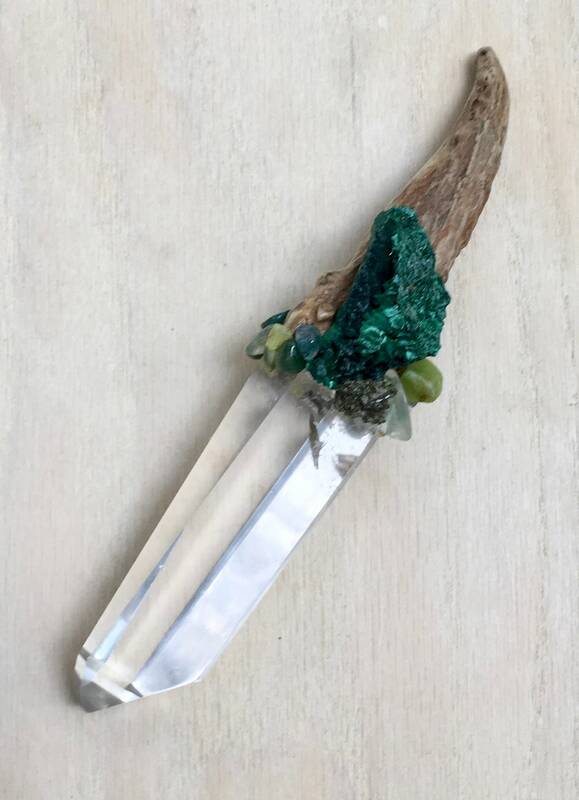 Great for spiritual work and growth, aids in attuning to Spirit. Can help you to have a greater knowledge of who you really are and your spiritual purpose. 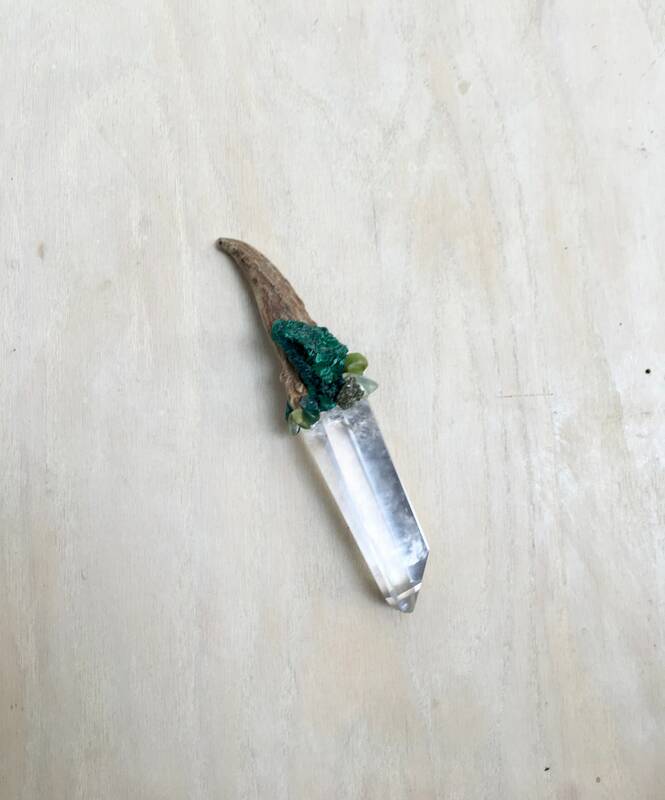 This stone is a catalyst for change, and once you have clarified your ideals, it will aid you to manifest your dreams into reality. Strong Connection with the Heart chakra. 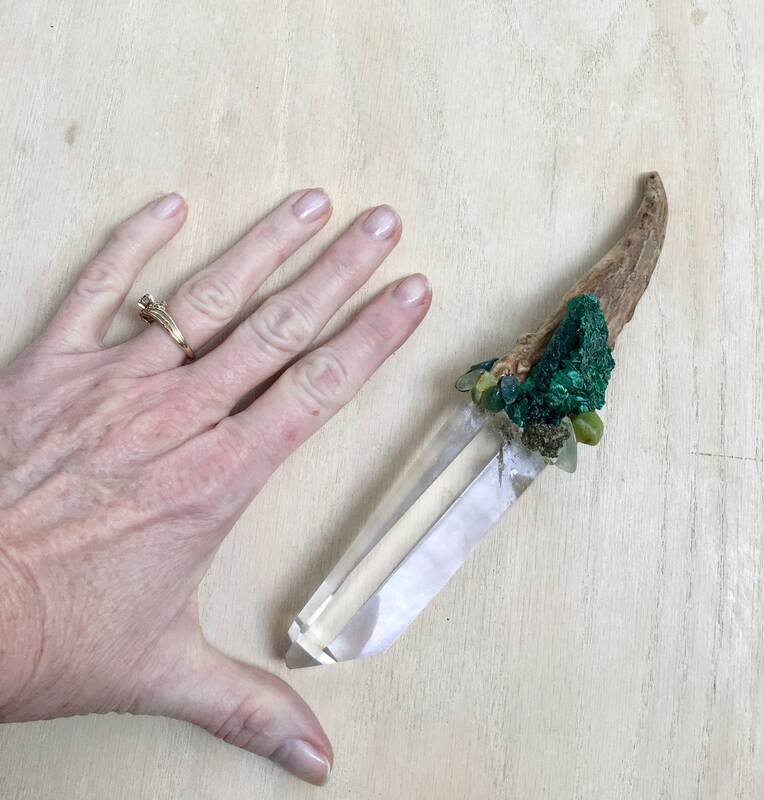 Green Opal - help give an energy boost. 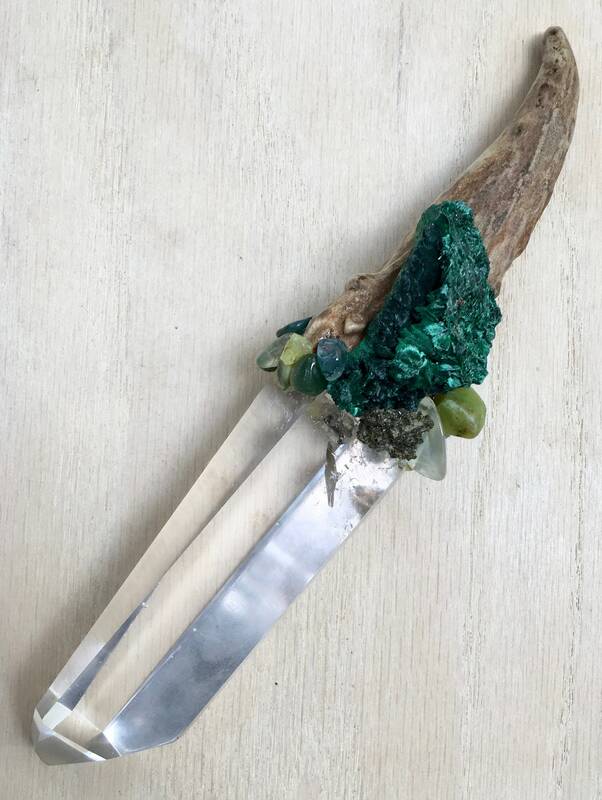 A cleansing and rejuvenating gemstone that gives meaning to life and brings about spiritual perspective, while strengthening the immune system. It has the ability to filter information and reorient the mind, thus giving it a better meaning to everyday life. Is often associated with the Heart Chakra and Crown Chakra. Enhances cosmic consciousness and induces psychic and mystical visions. It stimulates originality and creativity. Helps to release anger and claim self-worth, aiding in accessing and expressing one’s true self. Strengthens memory. It encourages an interest in the arts. Brings loyalty, faithfulness and spontaneity. 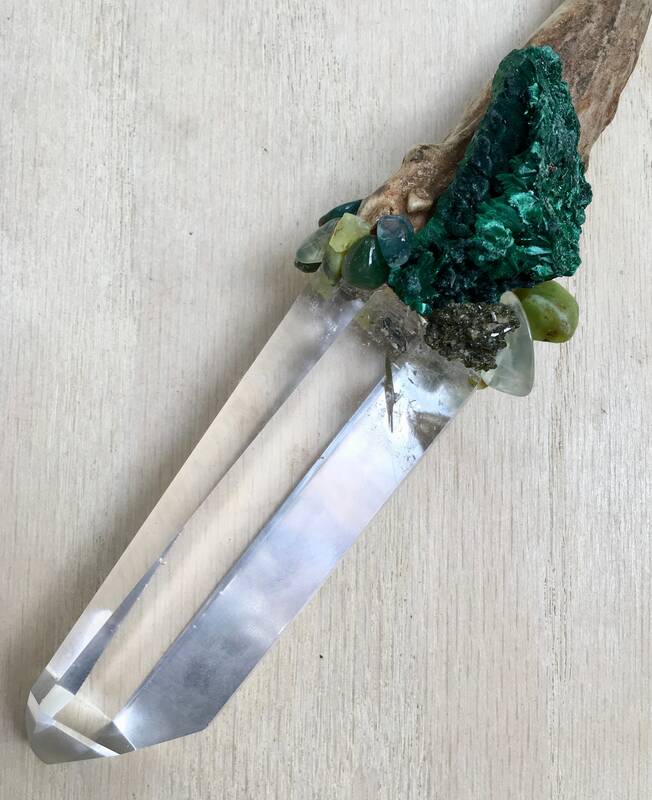 9 inches long, Quartz 5 inches.